Wow. How lovely. These gardens look so interesting. And not too over-the-top. I am always amazed hat they can recreate such real-looking gardens in these flower show displays. What a skill and art that must be. 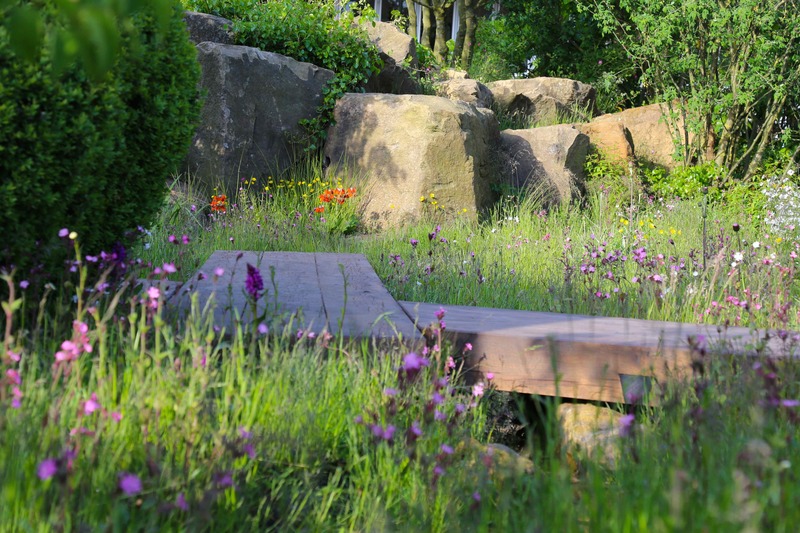 The build process is just three weeks long, of course the design and planning is much much longer, but incredible to see the transformations, especially the Chatsworth garden. I can imagine. Would love to attend one of these years. I think the trick is to find a way to be there on the Monday, before RHS members and the public are let in from Tuesday to Saturday! Thank you so much for the tour of Chelsea. When I lived in the UK I loved watching it on TV though never braved the crowds! 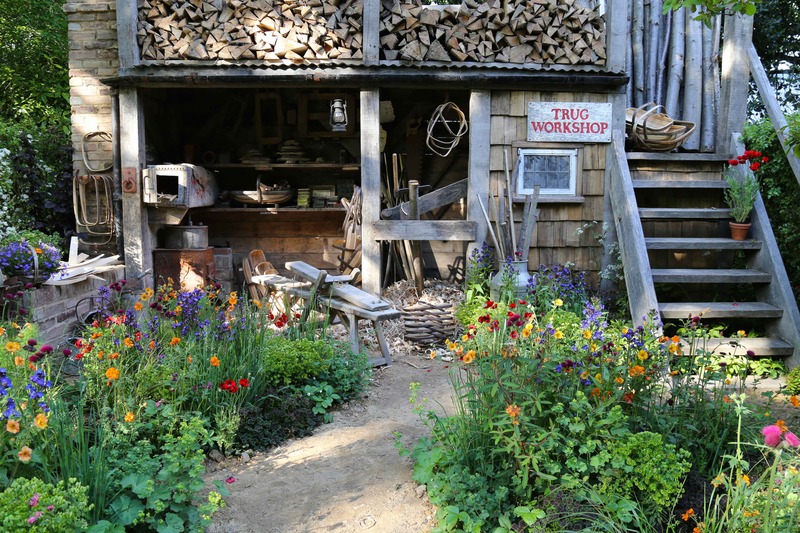 The gardens look amazing – hard to choose a favourite, though Dan Pearson’s stands out and love the Trugmarker one too! That’s a great top selection and lovely photos. I couldn’t face the crowds this year in fact, so it is nice to see reports from brave souls. I’m a terrible queuer so amaze myself when I buy the tickets, glad we went though. 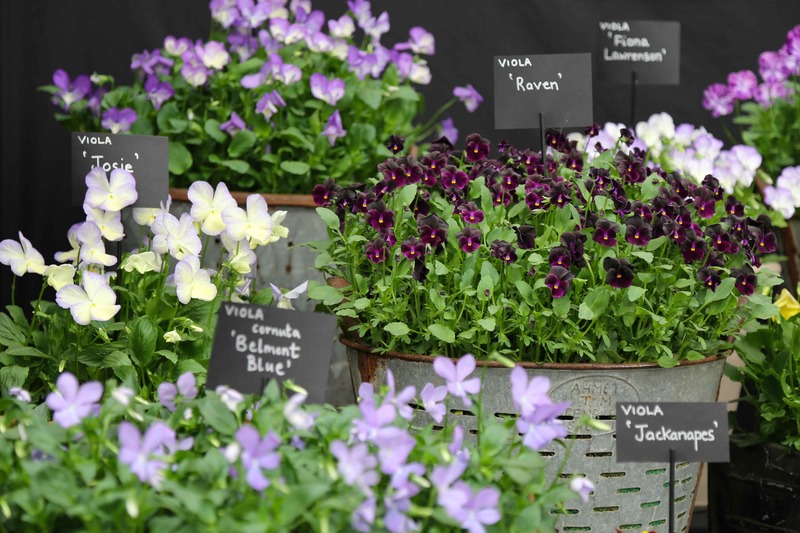 Now thats something to ponder on Amelia, I really like Violas, but they are not much help to insects and bees, some form of Alpine I think would be my choice. The Pearson garden must have been a wonder, but I would have also loved to see the Perfumer’s Garden and the Trugmaker’s Garden. Yes, I am a romantic at heart! And to me, these seem to embody an almost spiritual connection between the gardener and plants. 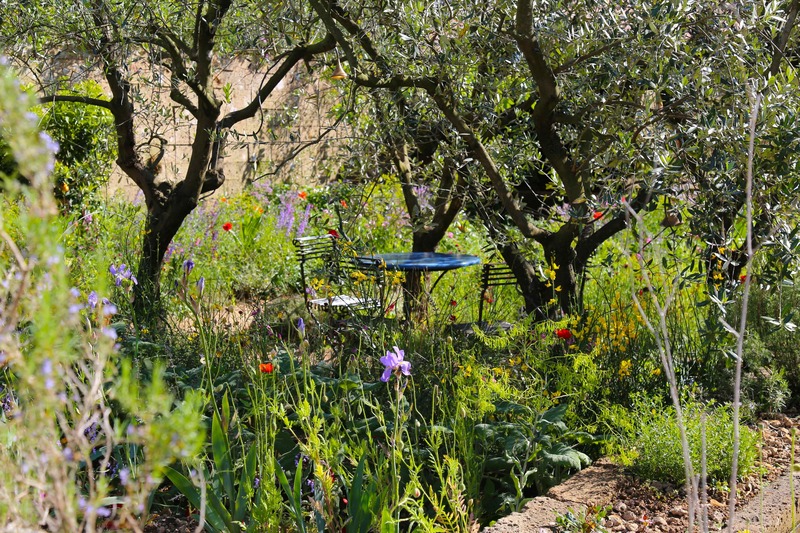 The Perfumers garden was certainly the most romantic and was inspired by a resurgence of perfume plantations in Grasse. Yes I agree about the spiritual connection too. Lovely photos Julie. Thank you, Chelsea is wonderful, but it is nice to sit in my armchair and look at your photos rather than battle with the crowds. I sat Chelsea out this year but I will be at Hampton Court . 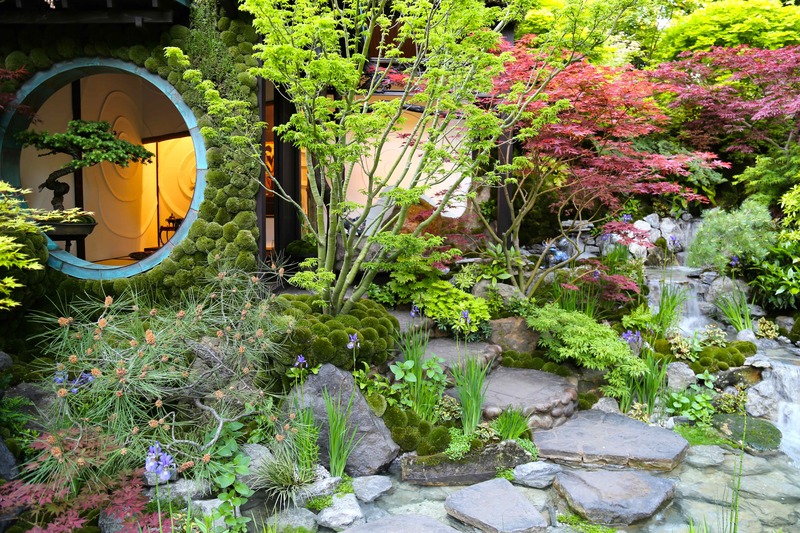 I love Dan Pearson’ s garden. I heard him talk at the Garden Literary Festival a couple of years ago and he was so interesting. We haven’t visited Hampton Court for a few years, but I remember a much more relaxed feel, especially arriving at the show on a boat. Attending the GLF must of been a real treat. Thank you – I really enjoyed your post and pictures – I only get to watch Chelsea on tv and it always looks heaving. I go to tatton fairly often as there is a lot more space and you can get right up to the gardens too. Chelsea had very little on Fruit and Veg, I hear that Tatton is a much better show for Grow your own. 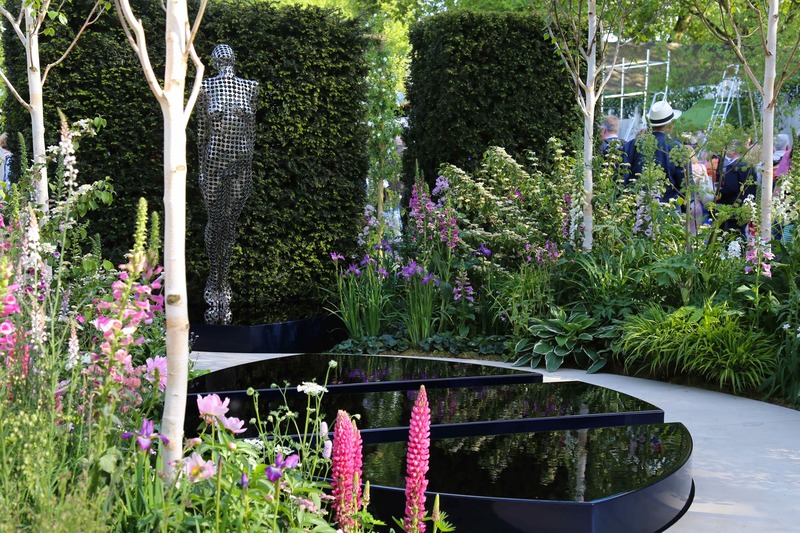 Its the furthest RHS show from us here but I would really like to visit. Yes there’s ‘show allotments’, lots of sellers, nurseries selling plants to take away, country fair type stuff/food sellers and plenty of space. 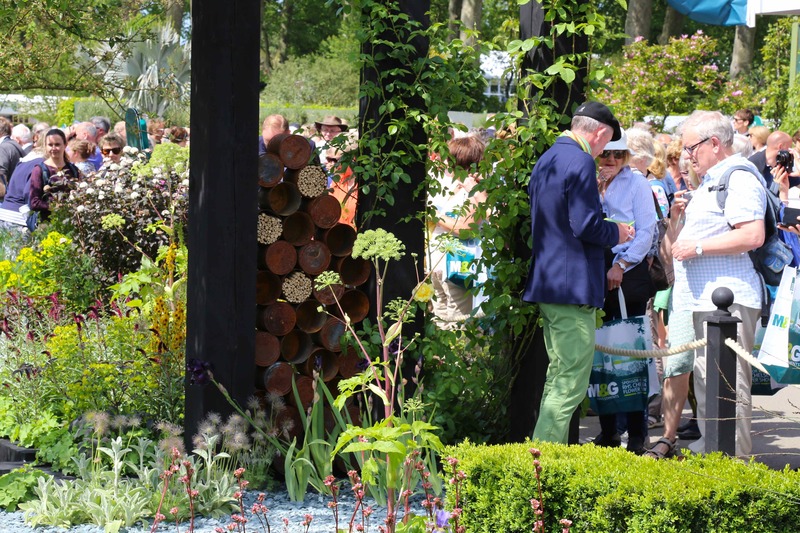 Its definitely worth a visit – esp on rhs day as less busy… def need a car to get there though. Thanks for sharing your visit, Julie. I couldn’t make it. To my eyes, they have nothing on the garden in your header photo. Just sayin’. I only managed to see a bit of Chelsea on the TV this year so am really enjoying all the posts with wonderful photographs. I love the colour schemes in the plantings. I am intending to buy more plants online next year to hopefully get more choice than in the garden centres. That is a good point, but you are reliant on photos for the colour of things and I would imagine online is very unpredictable as screens vary so much. I have a long list of recommendations from blogs I follow though, which will be a good starting point. Great to have a whirlwind tour, since I didn’t watch much of Chelsea on TV this year. 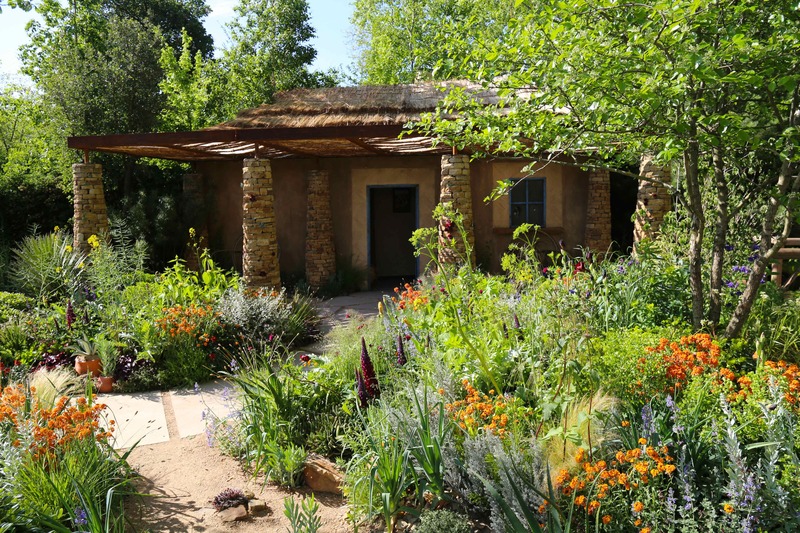 I think I would agree with Monty Don about the l’Occitane garden, but your choice, the World Vision Garden, was both beautiful and thought-provoking. Thanks! 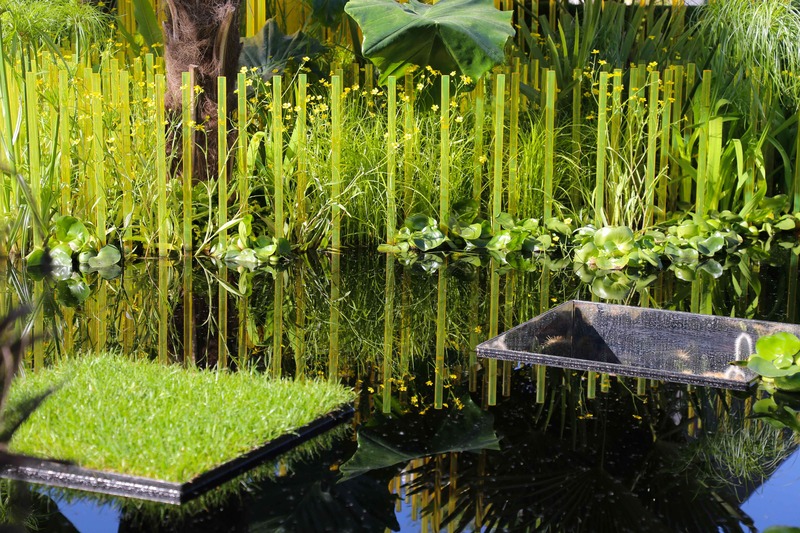 I love the gardens most with a story to tell or that are representing a great charity. I find it hard to relate to the hotel style gardens with corporate backers. 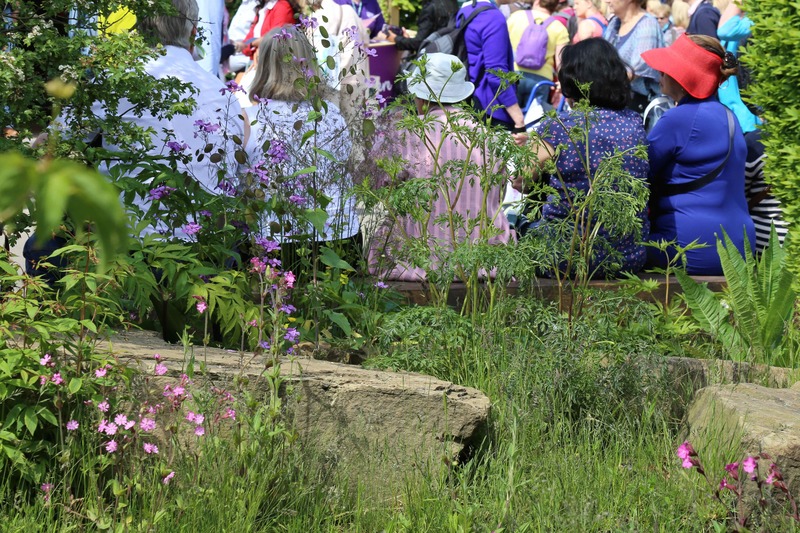 The crowds sound off-putting but how wonderful to see those gardens in person. I’d love to have that Healthy Cities Garden relocated to my place. 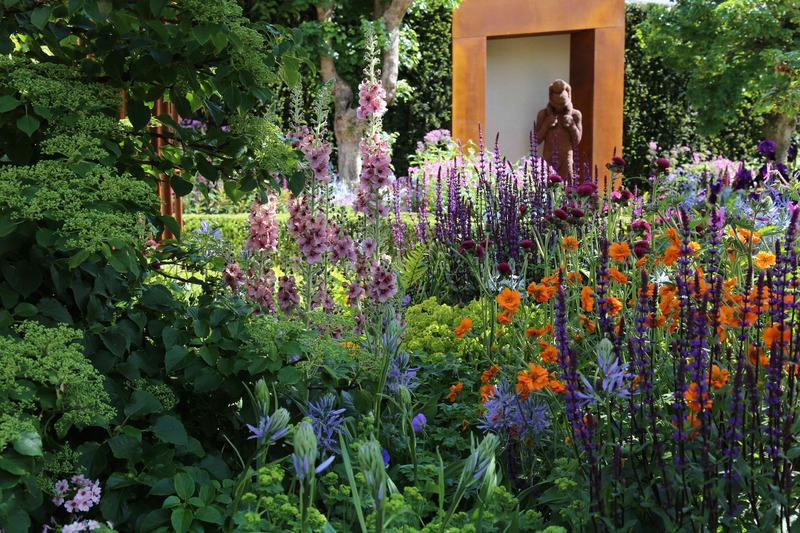 Me too Susie, Chris Beardshaw is a really talented plantsman, his combinations and design were magical. Beautifully composed and taken photos given how crowded it clearly is/was. A great snap shot for someone who’s never been, and doesn’t have TV! And what stamina you have, getting there early and still around at closing time! I wonder if there were any plants/flowers there which you’re likely to follow up and buy? I’ve always thought that for the smaller nurseries, it must be really difficult to justify the costs of being there, since I don’t think they can sell any plants until the last day? Can they? Thanks Julian, I have only been once on a Saturday which is sell off day and it was comical, folk were giddily buying all sorts of huge hard to carry plants and then its a bus or tube ride with them! I didn’t really know what to buy so settled on one purple cow parsley Anthriscus sylvestris ‘Ravenswing’. There was a girly Verbascum on Chris Beardshaw’s garden ‘Merlin’ that I would really like and Rhododendron Luteum on Dan Pearson’s garden, our soil is borderline acidic so hope it will be fine here. Absolutely Matt, I felt just the same. Thats a quality not many of the other gardens had. Thank you so, so much for sharing these lovely photos! They lift me up! Someday, not sure when, but someday, I’m going to take in the Chelsea! Cathy, I am sure there is a word – sensible for one. Thats frustrating about the TV coverage, I hear from Marian that the Great Chelsea Garden challenge is on You Tube, that was a real feel good competition show run just before Chelsea. In a such an opulent show the charity gardens really do pull you up. Thanks Su, I’m tall so crouching down to take photos came at at a head hitting price from other folk with large bags an early start is needed next year! I really enjoyed your photos of these gardens…they showed some of the best aspects and plantings…i especially loved the first garden you showed as it was wild and peaceful…. Your description and lovely photos of Chelsea are a treat, Julie! I have never been and this year didn’t even manage to watch any of the programmes. I would like to go to one of these shows but they all seem to be at a time of year when I am doing other things. I’m not at all good in crowds either so that may put me off. Maybe one day I’ll get to go! I’m not very good at crowds either Clare, some of our local villages have open gardens, our village is biennially. I find that a much nicer way to spend a day looking at gardens. I agree! It’s so much more relaxed. OH my-thank you for a wonderful tour with lovely photos-I could stay there for hours!!!! I have to admit- I am a wild one lover + boy do they know how to make it pop and speak to my heart! I’m a wild one lover too Robbie! 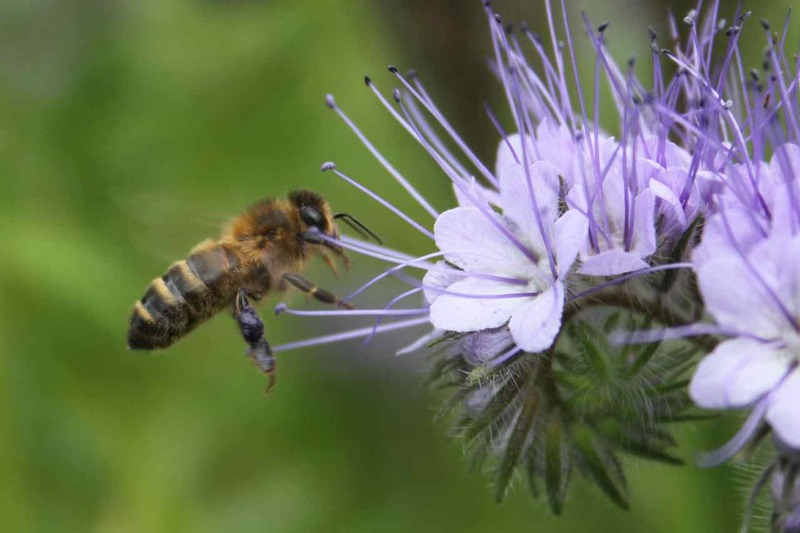 Love that times have changed and folk actively make wild gardens now. I generally avoid flower shows because I don’t enjoy crowds, so I especially appreciate the tour provided in this post. The People’s Choice garden would have been my choice as well! I like the idea of your flings, we do not seem to have them over here or at least I haven’t heard of them. Seems a much more civilised way of seeing a garden. They keep them to under 100 people, which helps. Someday I’d love to see the Chelsea event. Someday. Until then thank you so much for sharing the photos. If somehow you could arrange to go along with the Royals, celebs and press on a Monday before its open to the crowds otherwise very early in the morning or Saturday on sell off day, although getting that home would be a little tricky for you!